We’ve just posted up our second Steam Greenlight for our Civil War strategy game based on the First Battle of Bull Run. If you enjoy hex-based strategy games and would like to see more of our games on PC, please consider giving it a Yes too! Help us bring Tank Battle: Normandy to PC! Please help us bring Tank Battle: Normandy to the PC via Steam! We’ve setup a Greenlight page on Steam, but we need your ‘Yes’ vote to help us get it approved! 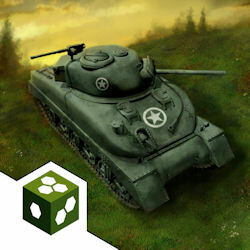 The major 2.0 free update for the iPhone & iPad edition of Tank Battle: 1944 is available now! This update brings the game up-to-date with our latest hex engine features, such as map zoom and strategic movement. In addition to this we’ve added a new purchasable 12 mission Juggernaut campaign and also a new ‘Bonus’ campaign that we plan to periodically add new free missions to! If you’ve already purchased the game, you can download the free update via the App Store. Tank Battle: 1944 out now on Mac! 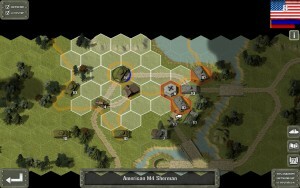 Our original Tank Battle: 1944 game has just been updated to our latest hex engine so it now includes more advanced features such as map zoom and strategic movement. You can get the Tank Battle: 1944 (including all the DLC) for the Mac for just $9.99! We are also releasing a free update for the iPhone / iPad edition which will hopefully be out later this week!